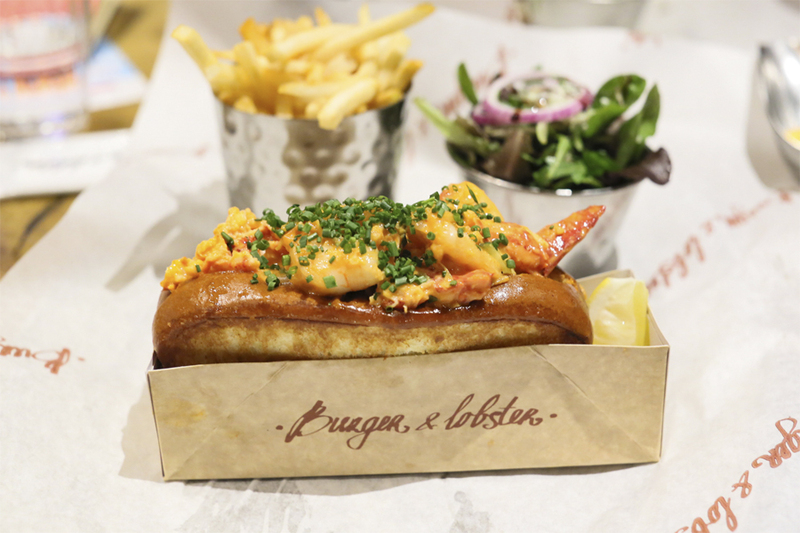 [London] Once upon a time, Burger and Lobster only had a three-item menu of burger, lobster, or lobster roll. It became a runway hit, as all were initially priced at the same at a fixed £20 each. 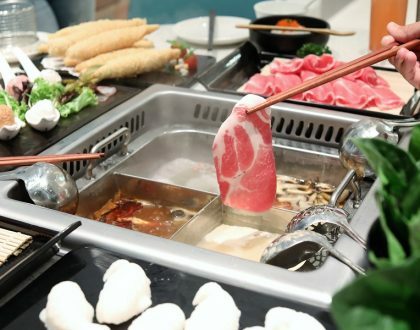 However, poor financial results caused the restaurant chain to change prices, for a more competitive and sustainable £16 for the Original Burger, £25 for Lobster Roll and, Lobster at £23 for a pound (450 grams). 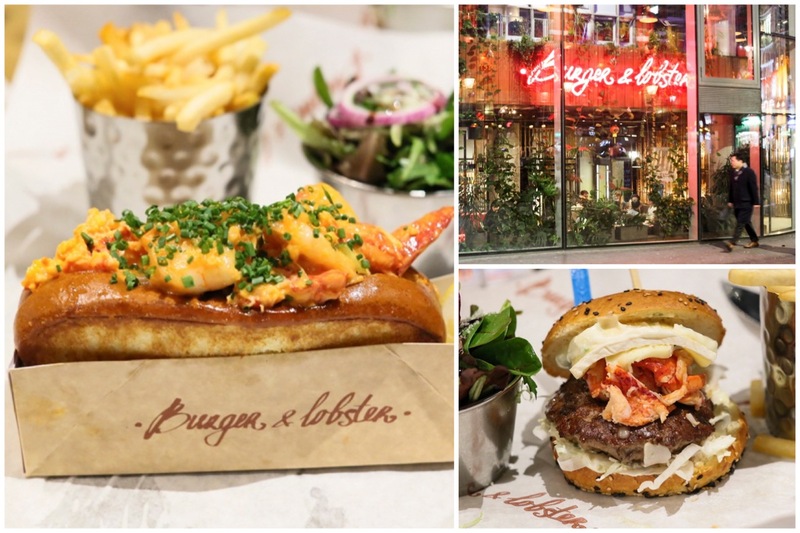 Burger and Lobster somehow, has become a “must-visit” for many people travelling to London, especially for Singaporeans. Somehow. It could be because of our fondness for fresh seafood and lobster rolls. 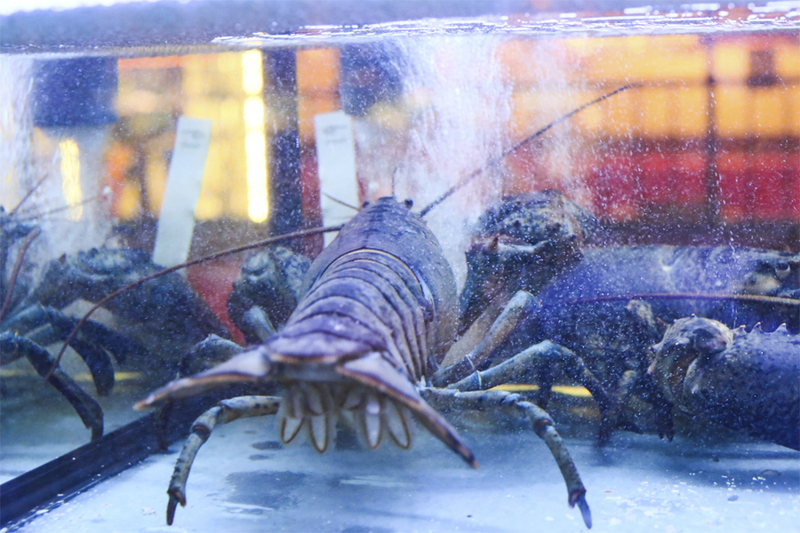 The brand of Burger & Lobsters, a UK chain, has been “wild and live” since 2011. It began with 4 schoolmates on a rooftop in London. 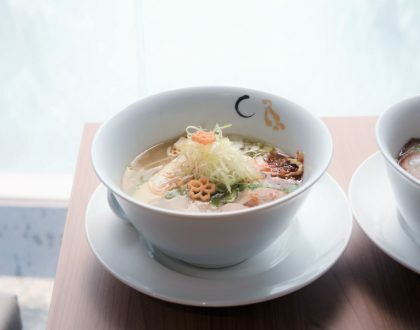 Their bright idea was to put up a restaurant where they only serve one or two main ingredients, but executed perfectly. 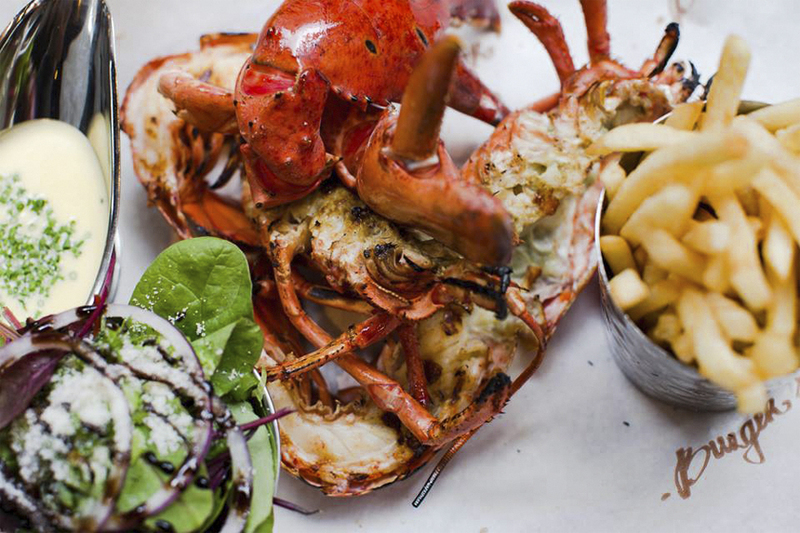 So, in a small Irish pub in Mayfair the first Burger & Lobster was born. 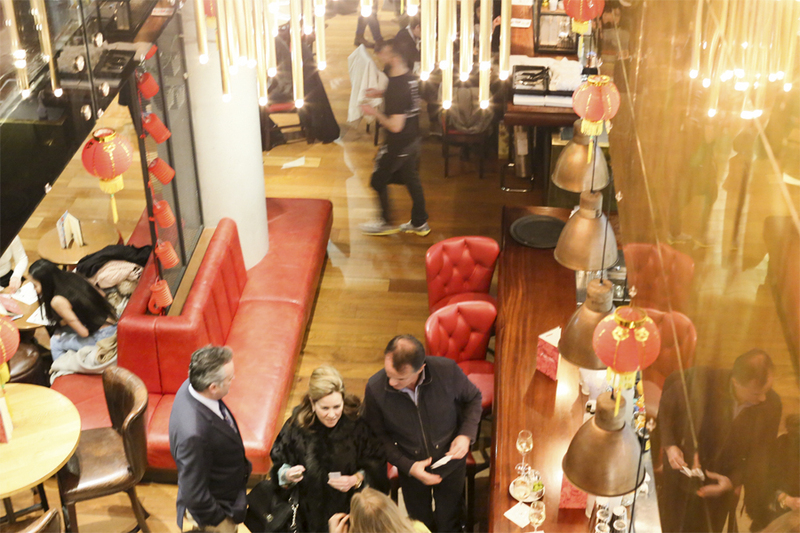 The chain has grown from Mayfair to 9 more outlets internationally. 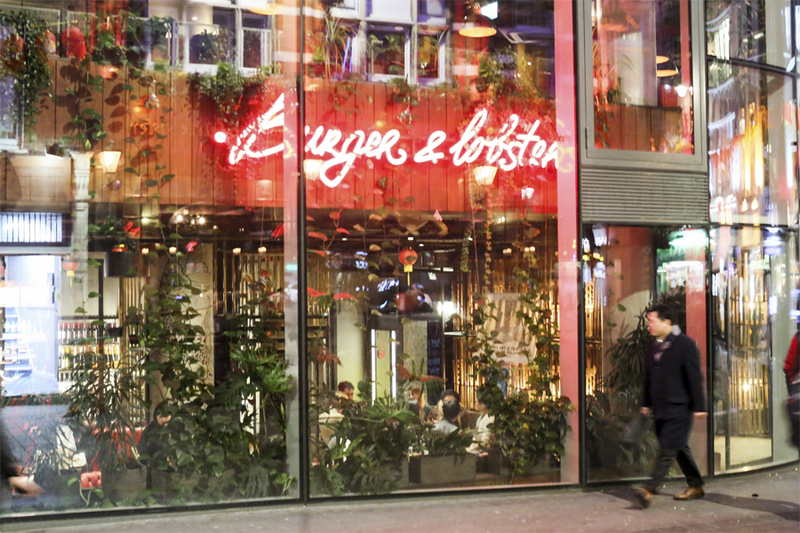 Burger & Lobster has made its mark in Stockholm, Dubai, London, Manchester, Kuwait, Jeddah, Genting Highlands, New York, and Bangkok. 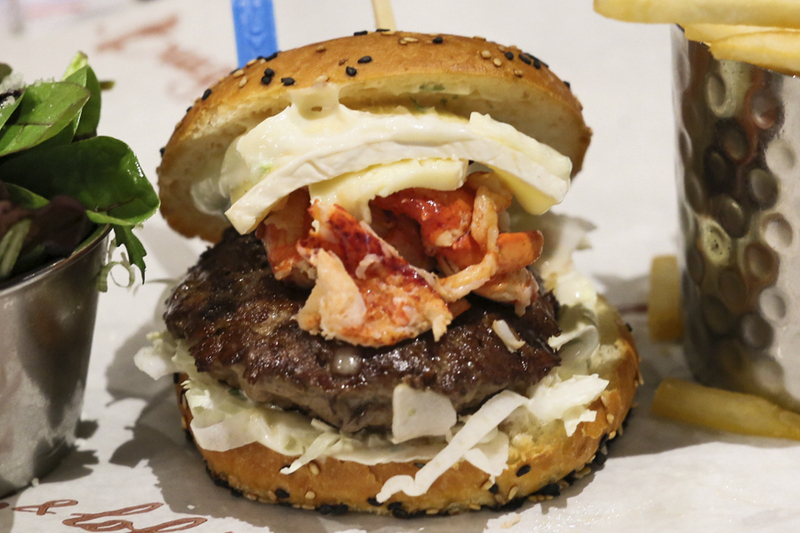 Their lobsters are wild-caught and come live from Nova Scotia, CA, while burgers are made from 100% Nebraskan Beef. 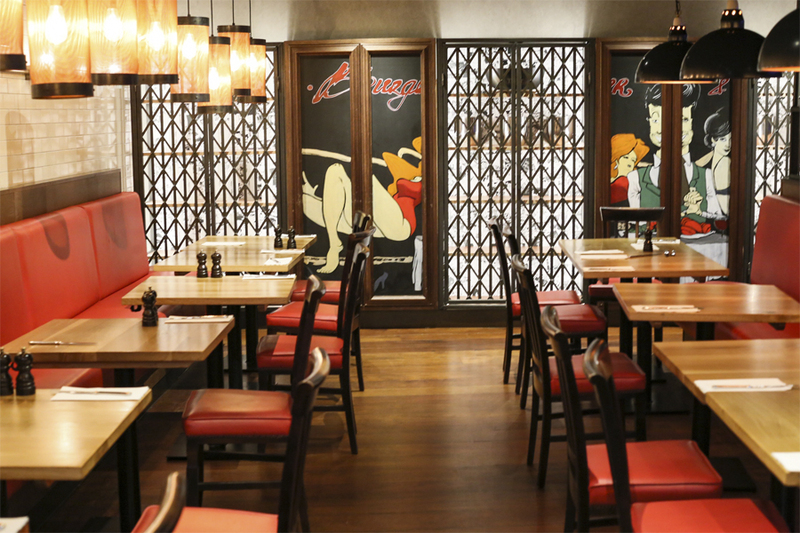 To complement these menu starrers, Burger & Lobster offers some sides and beverages to complete the dining experience. 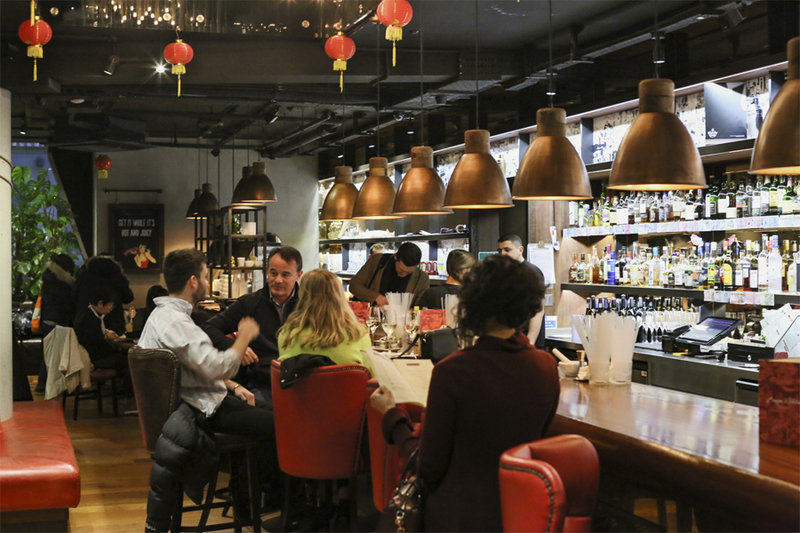 In terms of ambience, this branch located near Chinatown looked like where Londoners would hang out after work; and travellers with better spending power grab a bite before musicals nearby. A lot of movement; a lot of energy. Could be a bit noisy when the crowds build up. Interestingly, I saw a Singapore Chilli Roll (£22) and was intrigued enough to order it, just to understand their interpretation. 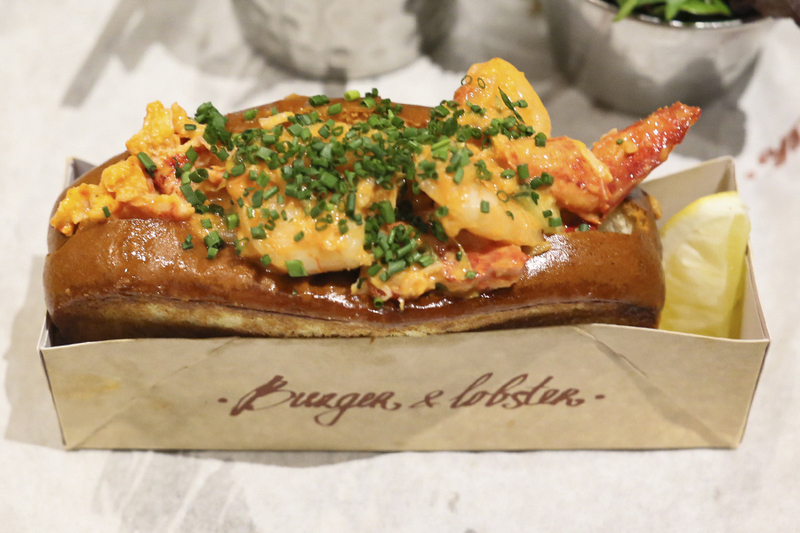 All lobster rolls come in a toasted brioche bun. The Original Roll (£25) is lobster with Japanese mayo & lemon. Served with chips and salad, the spicy version, the Chilli Roll was made of prawn and lobster combined with their homemade chilli sauce. The sauce tasted very similar to the Singapore Chilli Crab gravy, except that it was sweeter and had less of the tangy-tomato flavours. While I generally enjoyed the fluffy toasted bun, I thought that the addition of prawns destroyed the ‘purity’ of the combination, and would have preferred more lobster chunks. 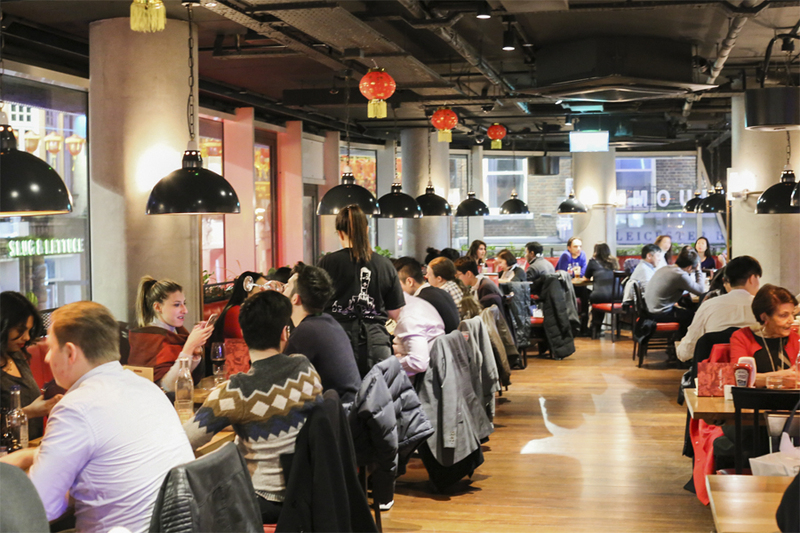 As for the burgers, there were 3 kinds of 100% Nebraskan beef in custom baked brioche buns with sesame seeds – Lobster Burger ((£23), 10z Original Burger (£26) and Black Bean Burger (£14). Unfortunately, the Lobster Burger turned out to be quite ordinary for me, as I thought that the lobster meat and beef patty didn’t gel quite well together. It was also because the buns were not as soft as I imagined, so they just all felt like separate parts. 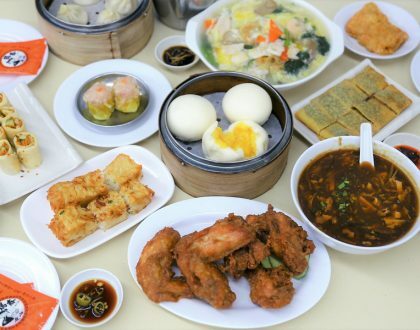 To me, the real deal would be getting some of those Steamed Lobsters, so as to thoroughly enjoy the freshness and sweetness of the chunks in its entirely. 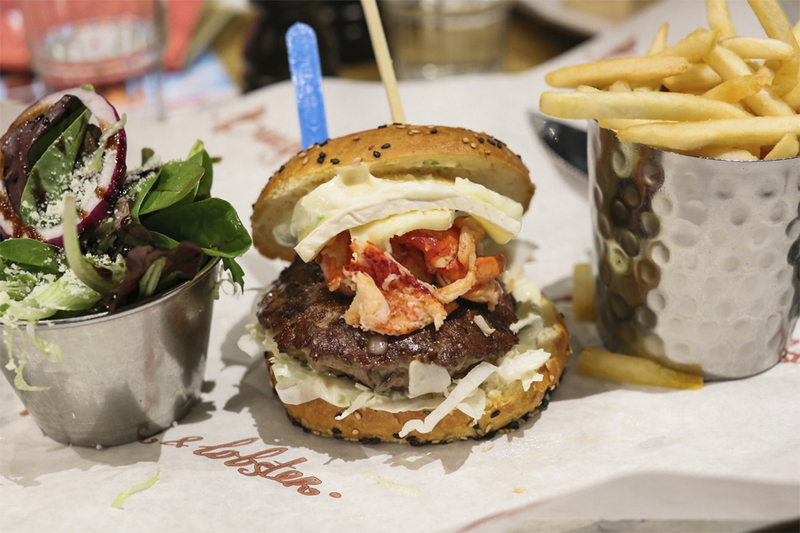 I would consider Burger and Lobster as a to-visit, more for its fame, and to strike off one your bucket list.